In the latest pretend controversy, sources tell me there aren’t any gay foxes allowed in the Chick-fil-A henhouse. I don’t have all the details because I try not to read the news and only overheard bits and pieces of the story from a neighboring restaurant table, but apparently the CEO of Chick-fil-A said something like gays don’t like chicken or maybe shouldn’t be allowed to eat chicken or maybe can’t cook chicken near as well as heterosexuals. Apparently, chicken is a very straight meat. 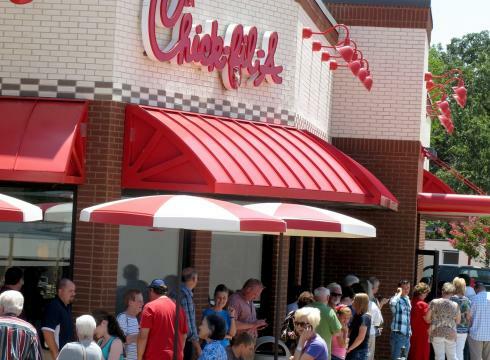 Then gay activists organized a boycott of Chick-fil-A demanding the CEO agree gays should be allowed to grill, fry, or Shake n’ Bake any chicken of their choosing, regardless of the chicken’s gender or sexual orientation. As a matter of fact, the calls for a boycott resulted in much stronger calls from Christian groups for a Chick-fil-A Appreciation Day. Chick-fil-A Appreciation Day helped the company set an all-time sales record, and it’s inspiring to see what Americans can do when they decide to take action and rally around a really, really, really unimportant cause like donating tens of millions to a multi-billion dollar fast food restaurant. Now that we’ve crossed supporting Chick-fil-A off our list of causes, let’s use those same organizational skills and sense of unity to tackle that pesky energy crisis that’s been on our list since 1973, or at the very least prevent Vin Diesel from making any more movies. I hope we don’t have to do a Chick-fil-A Appreciation Day every year because it will only be a matter of time before mothers feel slighted at receiving the exact same number of appreciation days as a chicken franchise and Mother’s Day will expand to Mother’s Weekend. Chick-fil-A’s stance has won so much publicity and new business, it won’t be long before other fast food restaurants follow suit. In defense of the CEO, I’ve been to numerous dinner parties thrown by gay friends and not even once did they serve chicken. Suspicious? Maybe. Enough evidence to draw a broad conclusion? Definitely. In defense of the gay point of view, it does seems hypocritical of the CEO to take any stance on gay issues when the rooster seems like an especially gay bird. Click here to see the caption contest winner and submit a caption in the new contest. I’m convinced the rooster’s infamous promiscuity is a overcompensating ruse. I just google imaged rooster, they are very flambouyant, I’ll go along with your analysis. It amazes me that you can take time away from your full time job writing headlines for the New York Post to write this blog! Quite the overachiever! If their headlines were a little better, maybe I wouldn’t have given up on the news. I only speak for myself, but sadly the news fits into two categories – things I can poke fun at in a blog, and everything else. Paul- this was your funniest post ever. Jack coming out of the box…. He’s been in there for way too long. Ooh, how I love a pretend controversy! Helps take my mind of the more important things like Vin Diesel. The number of pretend controversies has blunted any emotional impact of real controversies. I’m just not sure what to be offended by anymore. I find that if I can maintain a level of mild outrage about most human behavior, I’m good. Scientists are now saying a mild dose of daily outrage is good for the heart. Like anyone would think Ronald McDonald was gay. All the trannies I know are WAY better with their makeup. He does lay it on a bit thick. Far be it for me to further stir the pretend controversy, but are there any gay fox Muppets or roosters for that matter? There may be more to this than we know. Don’t all the Muppets seem a bit gay? So very Mcspot on! It’s always good to have something to laugh about! Great post AGAIN! I have to admit that I had to google “Chick-fil-A” because we don’t have them up here in Santa’s Back Yard and it kind of sounds like a brand of instant poultry stuffing, doesn’t it? If the border guards will let me, maybe someday I’ll make the 180 mile round trip and check the out. P.S. I admire your restraint in not penning a headline containing the word for a male chicken, and I don’t mean “rooster”. I appreciate that someone realized I had the restraint to leave that word out when it was the most obvious word to start with. It’s good to hear that someone else considers the word “capon” naughty. Mother’s day weekend? It could get a LOT worse….I know people who are now celebrating their “birthday week”….somebody get a net…. I’ve ‘known’ people like that. I use ‘know’ in the past tense because I’ve chosen to no longer be friends with those people. LOL! Funny how that happens, isn’t it?? When someone expects a gift everyday of the week…well…it’s just over. If I’m going to lavish that kind of worshipful attention on someone…it’s going to be ME! I’m just surprised nobody did a joke involving legs and thighs here. LOL. Dammit man, you beat me too it. I should have checked your blog first. Great minds think alike. Also our minds apparently. I try to win something every day so it feels great to get it out of the way so early in the morning. Hilarious. I’ve been thinking, and I’ve decided the only bird gayer than a rooster would be a rooster wearing a smoking jacket. Now I would hang out with HIM. I’m not sure what you’re implying about my smoking jacket. This is totally awesome. I wish I could think of a cooler way to say that. “In the latest pretend controversy.” Exactly! I’ve had enough of news coverage of such insipid non-events I could choke on a chicken leg. Don’t want to ruffle your feathers though. How you fit so many puns into a relatively short and sweet post is beyond me! Most impressive. I haven’t been paying much attention to the whole thing either, infact it was only through Memebase that I ever heard anything about it. Ah, Memebase, the most trustworthy news source in all the internet land. Maybe. These are the best headlines ever. I would actually go back to reading a newspaper for headlines like these. Maybe I’ll start my own newspaper. Sources tell me that’s a growth industry. -maybe you can get Dunder-Mifflin to supply the paper. Oh my…I googled “capon”…no one would do this because it is the exact polar opposite to “off to market we go.” Something Chick-Fil-A certainly would never be a part of because those chickens are neither gay or gay! Hey! I thought it already was a Mother’s weekend. Chocolate never takes sides on such issues. It just is. Pretend controversies are my favourite because they remind me the world is full of the same childish people I work with. That doesn’t make you feel discouraged? Interesting food for thought. Not sure why Chick-fil-A started spouting about gay stuff in the first place. Seems a little like a case of ‘The lady doth protest too much.’ Or rather, the chicken doth protest too much…? There’s definitely a closet homosexual hiding somewhere in all this. It certainly seems like the comment came out of nowhere. I don’t think society generally looks to fast food restaurants for moral guidance. 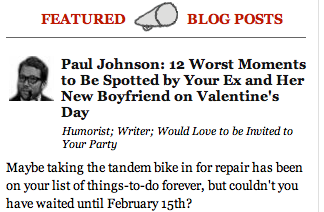 Thank goodness we have you to fill us in on all the non-issues of the world, Paul. I didn’t even know about Chick-fil-A before reading this post, let alone about all of the gay chicken controversy. I feel much more settled knowing that the world is still effed up as usual– phew!